How to extend limits (tasks, time periods) in Gantt Chart Maker? Whether you are a small business owner looking for a tool to manage the data on your sales leads, or a sales person needing a simple CRM software, you have come to the right place. I am glad to present a simple Sales Pipeline Management tool to track and manage your sales leads. How to create and print invoice for rental orders in Excel? 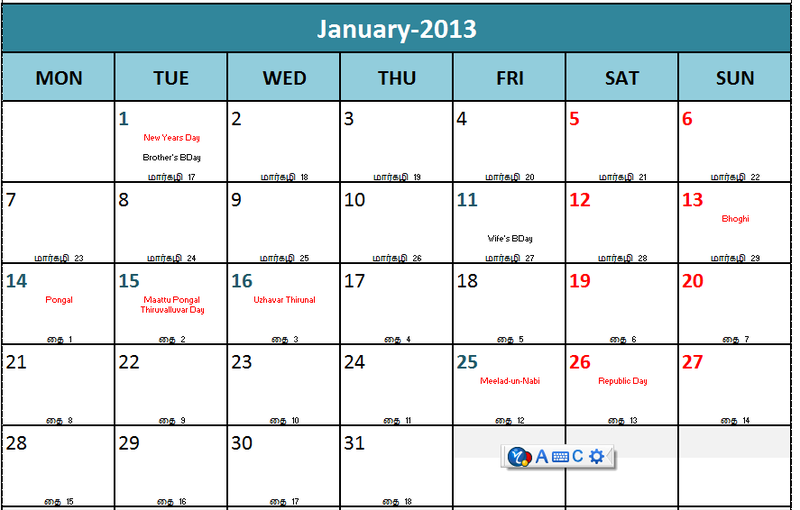 How to use Rental Availability Calendar for your rental business? How to Enter Rental Orders in Rental Business Manager Excel Template? User Guide: How to enter data in Recruitment Manager Template? How to edit colors by data range in U.S. State Heat Map Excel Template? How to change Gradient colors in U.S. State Heat Map Excel Template? How to filter events to display on calendars? How to implement predecessor tasks in Gantt Charts? How to skip non-business days for recurring tasks? How to use Custom Columns in Task Manager (Excel Template)? How to prioritize events on multi-event days? How to create U.S. holidays on Calendar? How to create annual events on Calendar? How to create Payroll Calendars using Event Calendar Maker? In this short video, I explain how easy it is to create Payroll calendars using our Event Calendar Maker Excel Template. 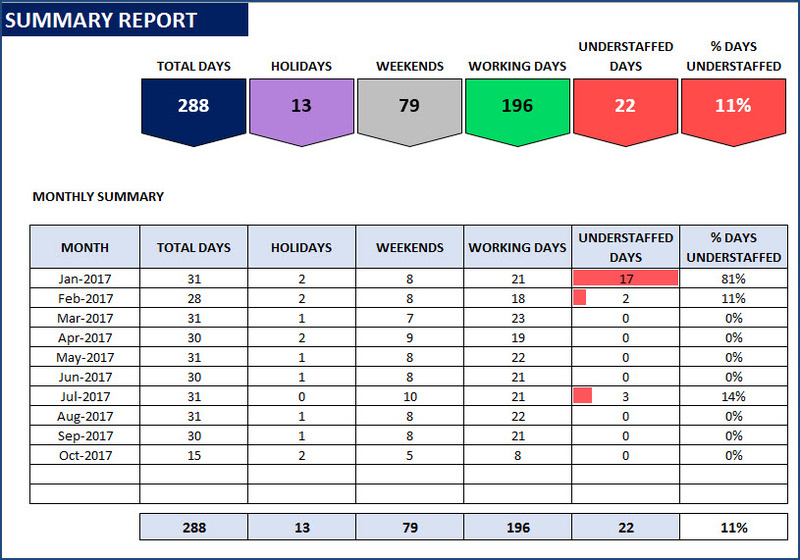 For more support information on this Excel template, please visit the product support page. Thank you. How to Skip Non-Business Days while creating recurring events? In this short video, we take a look at how we can skip (or exclude) non-business days (weekends or holidays) while creating recurring events. We use the Excel Calendar Maker template in this demo. For more support information on this Excel template, please visit the product support page. Thank you. The following video demonstrates how to add Location and Time to calendars using Event Calendar Maker Excel Template. We will be using the Event Name field to store other information such as location and time so that they get displayed on the Yearly, Monthly and Weekly calendar designs. This article discusses reasons for the ‘Circular Reference’ error that you may come across in the Project Planner (Advanced) Excel Template, and how to avoid them. ‘Circular Reference’ is the concept where one formula depends on its own result as its input. A new state of Telangana has been created earlier this month. Our Geographic Heat Map (India) has been updated with the new state. Please visit the page to download the updated file. Hi, I would like to know if Retail Inventory Tracker – Free Inventory (Stock) Management template or the Retail Business Manager has the function of checking stock availability for a number of products in one time instead of checking one by one each time. In the Products sheet in both templates, you can see the current availability of all the products. I bought the manufacturing template and yes really come in handy for my business. Keep up the good work. I’ll bring further update after my experience. So far so great. I purchased Task Manager template. I need “Fortnightly” in the frequency type. could you help. If you mean Every 2 weeks, please choose Weekly frequency type and enter N as 2. This would create tasks for every 2 weeks. Please let us know if there are any questions. i want to purchase school attendance register but i wan to add summer vacations of 3 months and winter vacations as well, and also i want leave count of each student in spite of “L” for late coming. i want L for leave. Thanks for your interest in our template. Please see the Student Attendance Register template https://indzara.com/product/student-attendance-register-excel-template/ which allows the number of holidays and customizable entry codes. Can you please try 00233 or 23321 as the postal code for Ghana? All the documents prepared are excellent and good to use. I was wondering if you are planning to prepare a document that may be used as a tool to plan a business startup. A lot of work is required to build budget and forecast for a business and see the feasibility of the business to be successful. I believe such a document would be sought by many small business entrepreneurs. Thank you for your positive words. We will definitely take your feedback and design something for start ups. Hi, we have input required information in your “retail inventory tracker excel template” according to tutorial video but “total order amount” in ORDER HEADERS SPREADSHEET & “unit price” in ORDER DETAILS SPREADSHEET can’t be generated automatically from green fields. What is the problem? Thank you. Please check if the product is also present in the Prices sheet with a price effective as of Order date. This feature only works with newer versions of Excel. If there are further questions, please email file to support@indzara.com and specify Excel version you are using. hello, i have purchase premium excel for Manufacturing Inventory and Sales Manager can we add( ORDER TYPE -DEFECTIVE like sale , pur.mfg in order sheet) also defective order can select raw material . Thanks for purchasing. Adding Order types would require changes to formulas in many places. If the raw materials were defective, you can enter a purchase order and then enter negative quantities. This will reduce the inventory accordingly. Does premium excel for Manufacturing Inventory and Sales Manager contain any report for defective raw material or defective finish goods? Sorry, there is no report available for defective items. I am looking for a Salary Slip template, can you please help me? Sorry, I don’t have one. Is there a sample to reflect what you are looking for? Thank you.